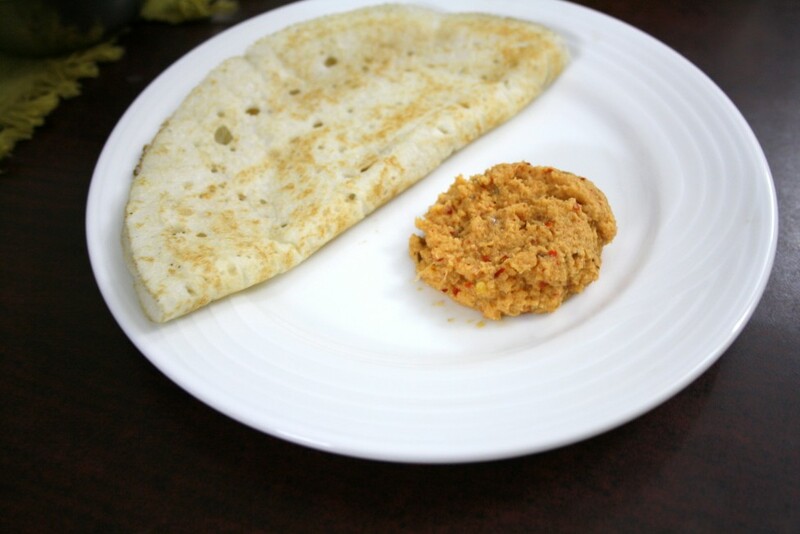 Next in the Chutney Series is another delicious chutney that you can serve for Dosas/ Idlis. I believe this makes a great mix with rice as well, though I haven’t tasted it with Rice. When you are really up against for want of ideas to make for serving for Dosas, and want it to be healthy, these vegetable based chutneys really come handy. The best part of this chutney is the fact that it is diabetic friendly. Forgive me for not showcasing with a Diabetic Dosa, but remember this makes a great side dish for any of those Pesarattu with Moong. Amma got this chutney again from her sister and she served this for Daddy for his Moong dal dosa. They vouched it tasted great. Since I was running short of time and didn’t have the Moong dal batter, I had to make do with the regular dosa. We have always used radish in our Sambar and dry sautes. Athamma again makes a wonderful chutney with another combination, that rests in draft for my cookbook. 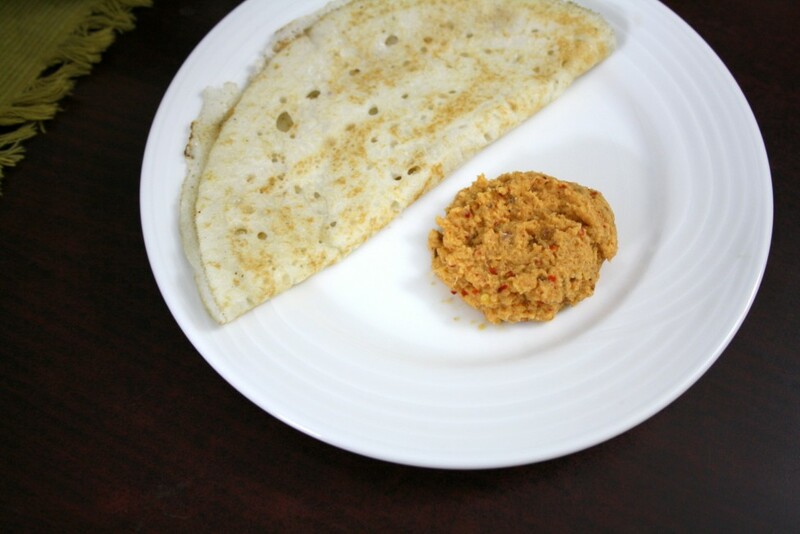 Anyway meanwhile let me share this simple and quick chutney that you can make for your dosas and never reach out for thos calorie heavy coconut or ground nut chutney. I know I love those two, still I realized this tastes very much like coconut chutney. You can actually fool somebody to believe this is so! Wash and scrap the outer skin of the radish. chop into small pieces. Heat a kadai with oil, add cumin seeds, allow to splutter. Then add chopped onions, red chilies, garlic saute well. then add radish and saute till they turn colour. Remove and allow to cool. Add salt. Then grind in a mixer to a smooth paste along with tamarind. are serving with rice, you will have to add the tamarind. This does not have long shelf life but can stay for a day. Nice new recipe to me with radish 🙂 looks very good..
Never had something like this. Should give it a try 'cos it looks good. Innovative and nutritious pachidi with radish.